Don’t Like Your Facebook “Look Back”? You’ll Be Able To Edit It Soon. Don’t like yours? Too many pictures of your ex? Don’t sweat it too much. Facebook is working on an edit tool, we’ve learned. 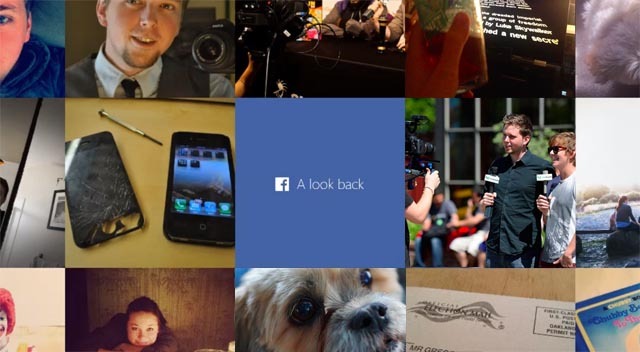 I’d heard from a source just after the Look Back videos started rolling out that there was supposed to have been an edit tool built in — apparently, it just wasn’t ready to go in time for Facebook’s anniversary. The tool would allow you to pick alternative photos/clips if you weren’t into the ones that Facebook’s Emotion Bot 4000* picked for you. Sure enough, a support page for the “Look Back” feature has lingering mentions of an “Edit Your Movie” button that doesn’t exist, further suggesting that the option was supposed to have been there to begin with. With Facebook getting into video automation and building up a user interface for making tweaks, it’s pretty easy to imagine that this won’t be a one-off thing for the company. With all of the content people post on Facebook, they can do all sorts of these videos. Annual recaps of your year on New Years Day? Auto-magic video compilations following an event, made up of your and your friends’ uploaded pictures? Now that they’ve built out the base functionality, turning it into a proper, regularly occuring feature is a matter of tweaking the auto-selection algorithms. If you still haven’t figured out how to find your look back, here’s the link.